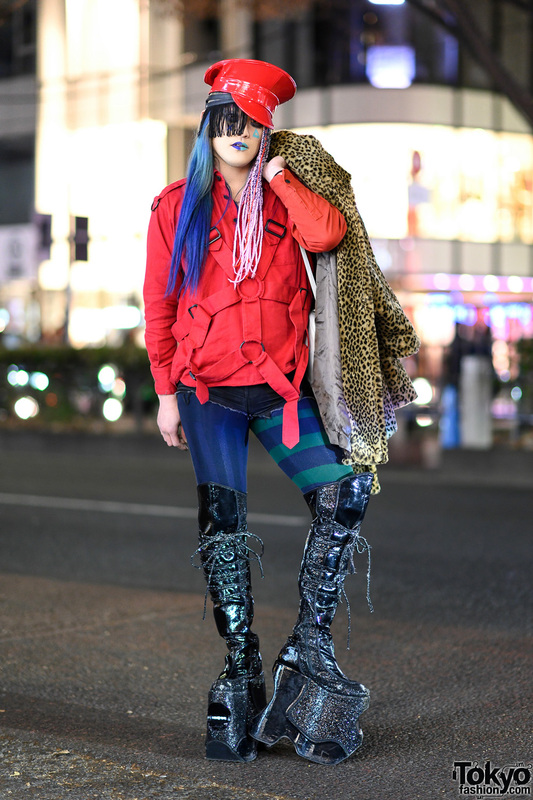 Harajuku fashion buyer with tall blue hairstyle, furry leopard print coat, patent leather side zip tights, rocking horse shoes and a crocodile leather handbag. 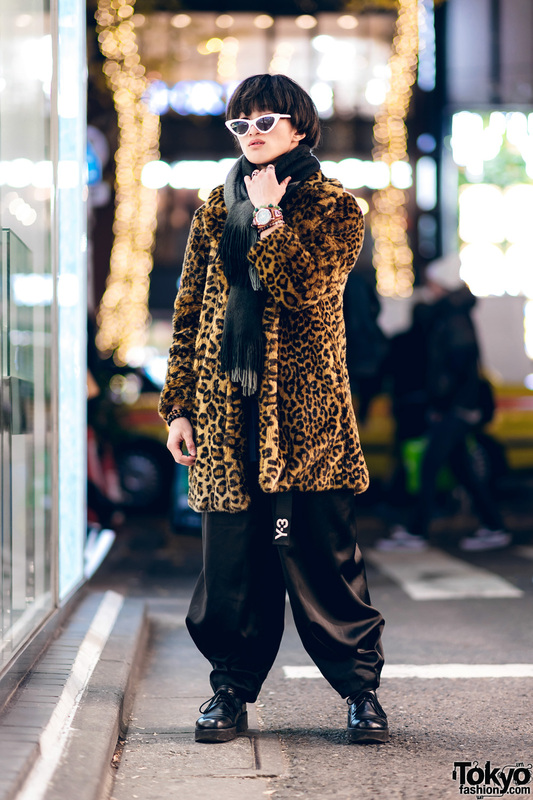 Japanese actor on the street in Harajuku wearing a faux fur leopard print coat with Lad Musician skinny jeans, studded boots, jewelry, and a logo handbag. 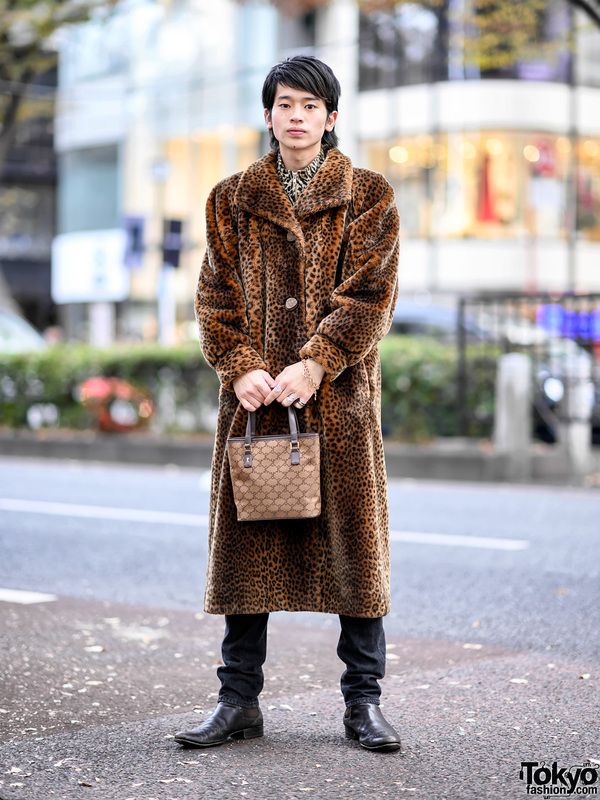 Harajuku hair stylist showcasing a leopard print faux fur coat ensemble while out and about.